We are going to cover three topics on Trans Talk, Saturday, August 22nd, at 1:00. First, we are going to be going “back to school” by talking with Jack, who will be sharing his experiences transitioning while at UMKC, and speaking with Luke Harness about the support groups offered on campus. We also have Lawrence Altman, the Lead Compliance Attorney for the Kansas City Missouri public school district, to discuss the comprehensive protections for transgender students in his district. For the next half of our program we will be interviewing Fiona Nowling, who is the leader of the Kansas City SOFFA support group, for the significant others, friends, family, and allies of transgender people. With Fiona is Louise, a long-time SOFFA member who has had success adjusting to the transition of her child as a result of support she and her husband found through the group. Finally, I will report on the murder of local transgender woman Tamara Dominguez, and report on the local media coverage and missteps which infuriated many in the Kansas City transgender community. As always, we will have a breakdown of the LGBT news for the week and the community calendar update. 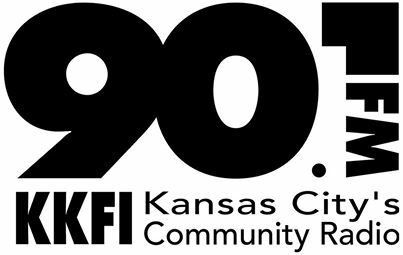 Be sure to tune in at 1:00pm central, 90.1 FM, or kkfi.org, Kansas City Community Radio! This entry was posted in Activism, Entertainment and tagged kkfi on August 21, 2015 by .